Whenever it rains, a magical puppy called Muddle appears! Muddle the puppy is magic, but he's also a little bit naughty! Emerging readers will grow in confidence as Muddle takes cousins Ruby and Harry on adventures filled with magic and excitement. In Toyshop Trouble, Muddle jumps into a magical puddle and takes Ruby and Harry on an amazing adventure to a toy inventing competition! 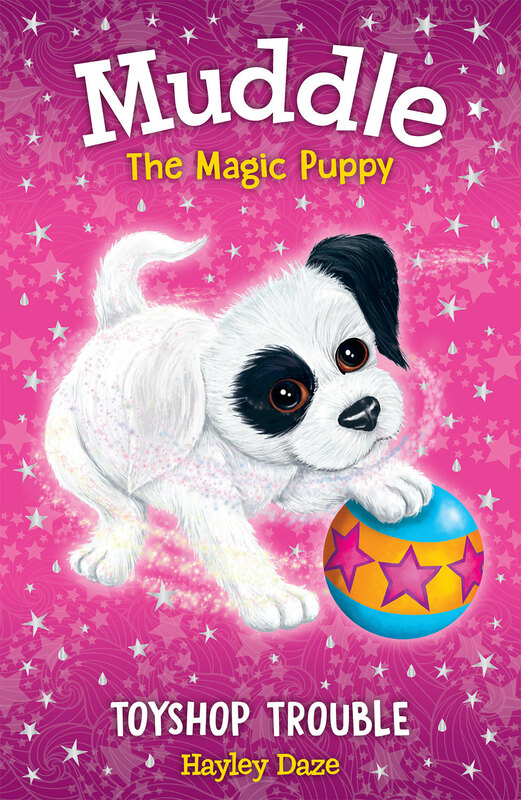 They need lots of ideas and some puppy magic to help an inventor to win the competition. Luckily, Muddle, Harry and Ruby have a great idea to make the best toy ever! Hayley Daze is the pen name of Jane Clarke, writer of Dinosaur Cove - one million copies sold worldwide! Hayley Daze is the pen name of Jane Clarke, award-winning writer of the Dinosaur Cove series of books that have sold over one million copies worldwide. Hayley has penned over 45 children's books and is a past winner of the Nottingham Children's Book Award, the Norfolk Library and Information Service Children's Book Award, and was highly commended at the Sheffield Children's Book Award.